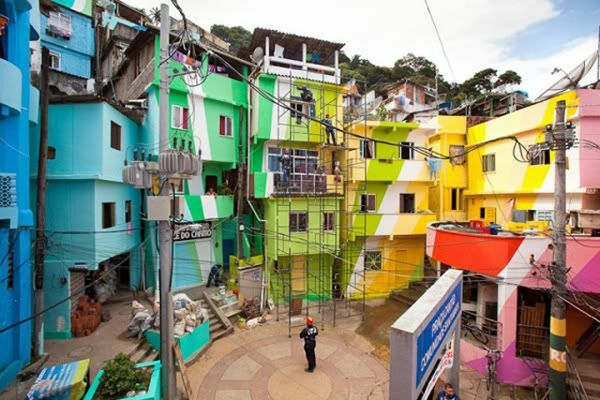 Straight on the heels of Dottie’s wonderful post about the Color Corp Project in Oakland, California, I thought it would be cool to take a look at a similar project that is already completed. 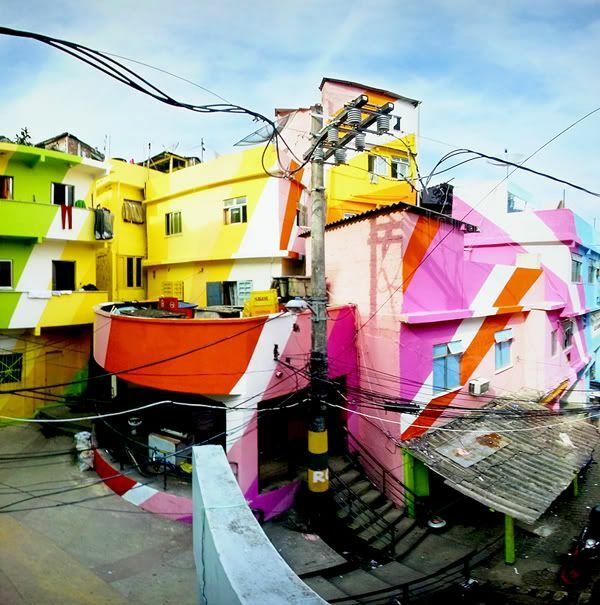 The Favela Painting Project in Brazil is simply stunning. 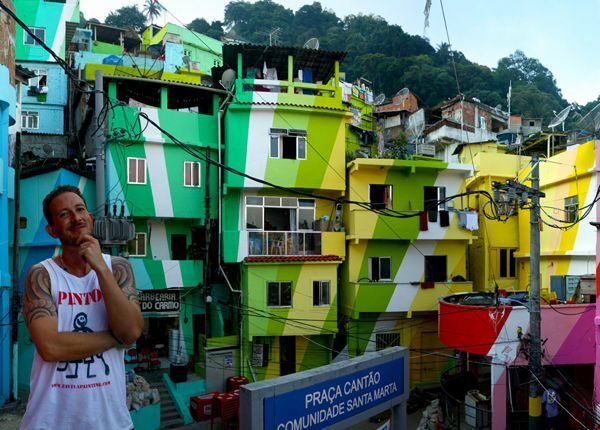 A favela is a Brazilian slum. Most of the buildings are run down and neglected. 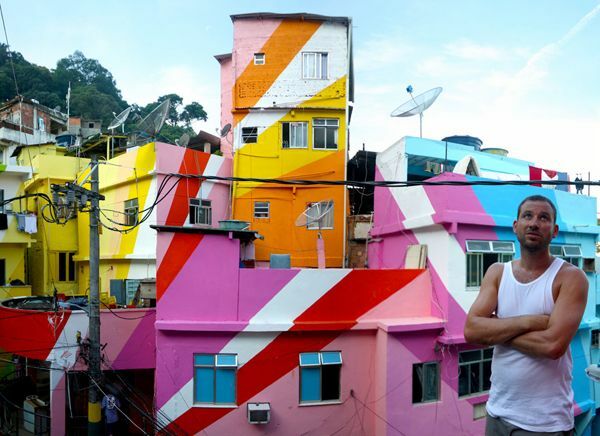 The Favela Painting Project has made it their mission to create striking artwork in these neighborhoods by collaborating with the local people—and using art as a tool to “inspire, create beauty, combat prejudice and attract attention”. Not a bad mission in my book! 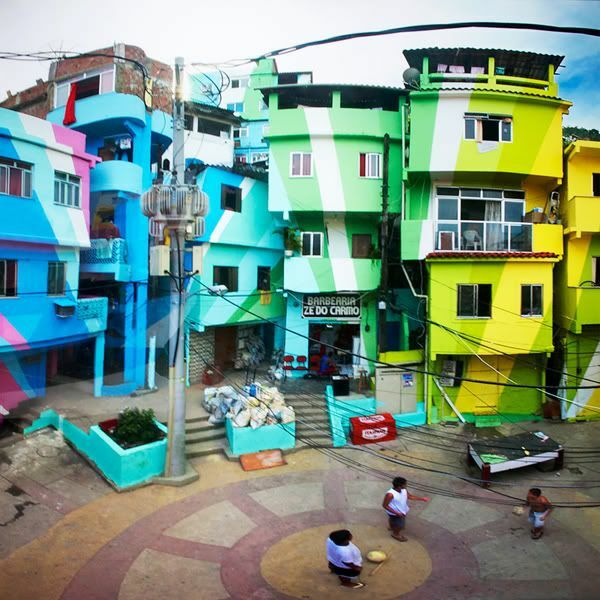 Can you imagine your neighborhood being transformed like this? Pretty glorious! 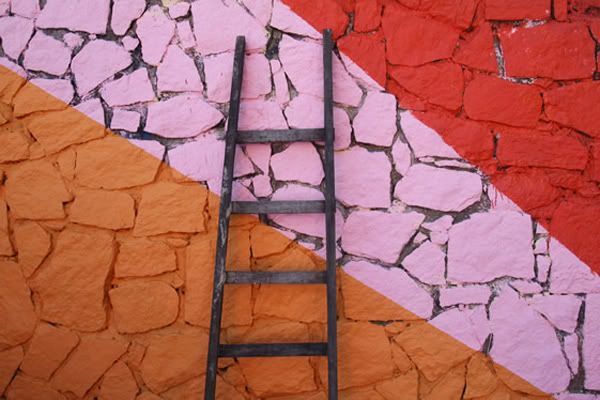 Posted in Art + Design, Month of Color. oooh YES! Thanks for that link!! 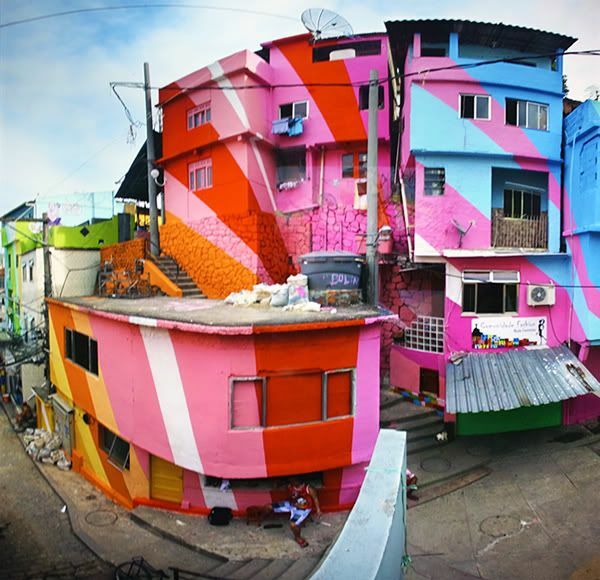 this is just absolutely amazing!!!!!!!!!!!!!! !